Television ad buys are very expensive. 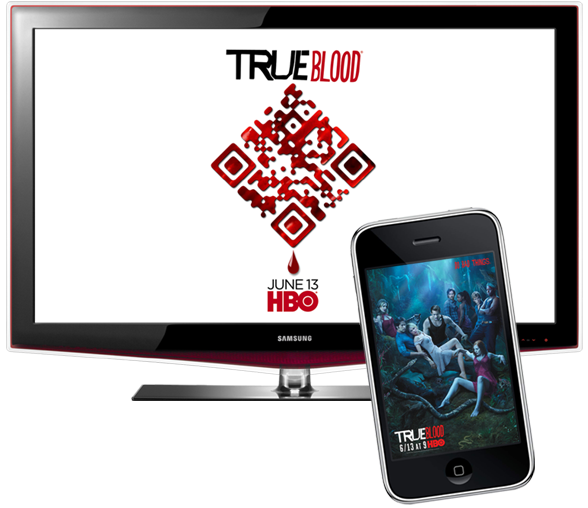 HBO saw an opportunity to increase their return by placing a QR Code in their TV ad promoting the 3rd season of True Blood. By placing a Designer 2D Barcode into the ad, Warbasse Design was able to provide True Blood fans with an experience that traditional ads cannot. Track and measure user response to the ad and campaign with metrics HBO could really sink their teeth into. "It's in the HBO DNA to continually strive for marketing innovation and breakthrough creative ideas"
>> Mobile streaming made easy!